As July is National Savings month, the Ombudsman for Banking Services OBS advises bank customers to better educate themselves when banking through their chosen banking channels. "The office sees many banking related complaints that impact directly on customers' hard earned money and they end up being out of pocket. A common thread in these complaints is customers not being fully aware about the risks and responsibilities that come with some of the banking channels they have selected to make use of," shares Reana Steyn, Ombudsman for Banking Services. *Mrs Dube had two investment accounts with the bank and decided to terminate same prior to maturity date. She was not happy with the penalty charge enforced and compared the fee to that of another bank where she also held an investment of greater value, yet she was charged a lesser penalty fee. The penalty fee charged was communicated to Mrs Dube when she first opened the account. By signing the contract, she acceded to the terms and conditions applicable, including acknowledging the possibility of being charged a penalty fee should she want to access funds in the investment account prior to the maturity date. She wanted the bank to adopt the criteria implemented by another bank. Unfortunately, her claim did not succeed. Enquire about the exact amount you will be charged should you wish to access funds in an investment account prior to the maturity date. *Mr Tuinhuis had an investment account since 2010 and claimed he only learnt of "fraudulent" withdrawals made from the account in 2017. He wanted a refund of all the "unauthorised withdrawals". Our investigation revealed the disputed transactions were transfers from the complainant's investment account into his daughter's as well as his own current account. The transferred funds were then used. The evidence before us indicated that the complainant and his daughter enjoyed the benefit of the funds so transferred and therefore the complaint was dismissed. Always check your account statement to see the progress of the investment, whether it is monthly or quarterly, to ensure you are comfortable with the all the transactions and the status thereof. If you compromise your password and PIN details and thus allow third parties to transact on your account, you will not be able to claim the money back from the bank, even if you did not authorise the transactions. "If one looks at the trends in behaviour, customers seem to be trusting and divulge confidential banking information in situations that appear to be legitimate, and we know this is not the case because of the matter landing at our office. "Learning more about each bank product and banking channel will make bank customers more aware and alert about the risks and importance of keeping their confidential details only to themselves. Particular care should be taken with emails, SMS's and when typing in a PIN at a point of sale or an ATM", advised Steyn. 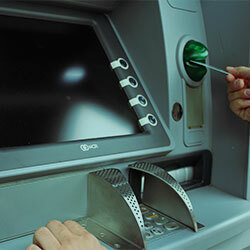 ATM related complaints comprise 16% of the Ombudsman's complaints with card swapping being a common problem. Sometimes consumers' entire accounts are cleared due to card swapping, warns Steyn. Consider placing your savings into a different account that does not require your ATM card to access. *The names have been altered to protect the complainant's confidentiality. The Ombudsman for Banking Services provides a free dispute resolution service for disputes between banks and bank customers. "After investigating a complaint, we provide thorough and detailed explanations when making determinations of the matters brought to is. We expect this information to empower and teach the bank customer about how to prevent similar problems in the future," says Steyn.